Contact | Hello Pretty. Buy design. If this still doesn't answer your question, have a look at the order email you received. 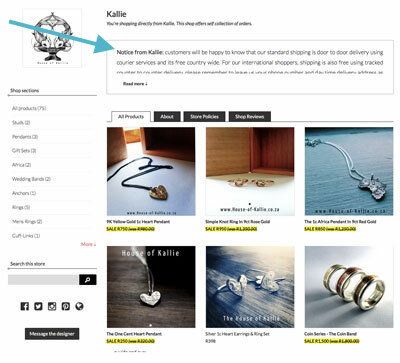 In that email you'll see the contact details for the designer you bought from. But if you prefer, you can message them from the site. We explain how in the point below. If a seller has simply disappeared or stopped responding to you, click here to file a dispute. Many Hello Pretty designers love doing personalised and custom orders for you. Message the store owner directly if you have a question about an item, or are looking for custom work. Hello Pretty will not be able to assist with these queries, even though we'd like to. 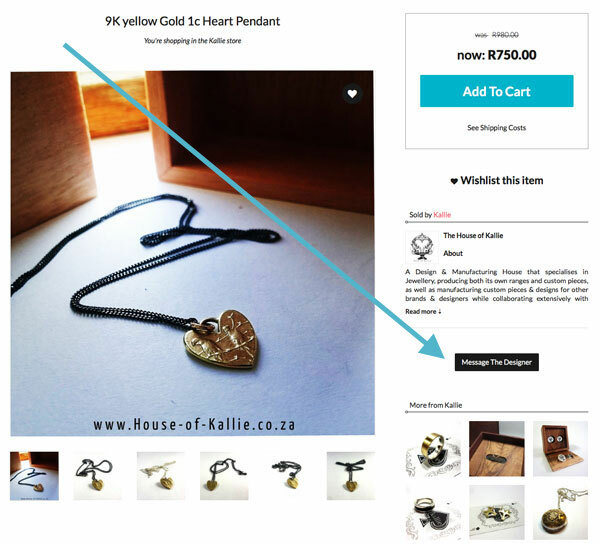 Since Hello Pretty is a marketplace, not an online shop, designers run their own store and you're buying directly from them (and supporting independent South African businesses, you great person you). 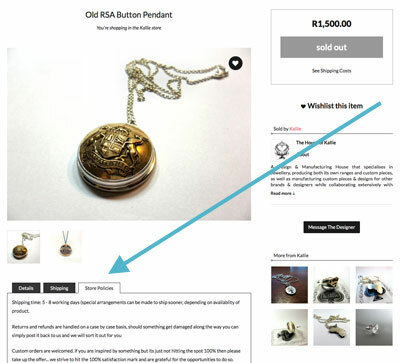 To message the store owner: go to one of their product pages or their store page. In the sidebar you'll see a black button that says "Message the designer". Click that to send a message directly to them, and they will then reply directly to you. If you want to specify a colour, size, engraving text or any other option for the product you're ordering, we explain how over here. If you make pretty things, and you'd like to have a store on Hello Pretty, we'd love to hear from you. Head on over to our Sell page to have a look at what we offer and what the options cost, and then fill out an application form (it takes 3 minutes). Hello Pretty allows payment by EFT. Anyone can use this. To pay by EFT, follow the normal cart checkout steps (including filling in your contact and address details), and select our secure EFT processor, PayFast, from the payment options. Payment made through PayFast will trigger an instant automatic completion of your order and you don't need to contact the Hello Pretty team. However, if you are struggling to pay through PayFast and still want to pay by EFT, below are our bank details. NB: only do a manual EFT if you have first liaised with the Hello Pretty team about it. Please do not make an EFT payment before you've been in touch with the Hello Pretty team. We're fine with you sending us free money, but we suspect that you might not be. 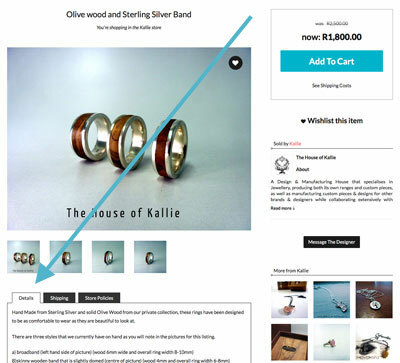 Manual EFT orders cannot be completed if the reference number you use is not exactly the same as what's given to you by the Hello Pretty team. Otherwise we have to wade through mountains of digital paperwork to figure out who you are and what you're paying us for. And it necessitates wine. Manual EFT orders cannot be completed if the amount you transfer is not exactly the same as what's given to you by the Hello Pretty team. We have to keep the finance deities in a state of zen, and mismatched payment amounts upset this. Proof of payment must be sent directly to the email address we supply you with, from within your internet banking. This is our ecommerce security blankie. Payments made by cash deposit are subject to a R50 surcharge. Sorry! We really do hate to do this, but cash deposits actually cost us quite a lot of money. Reference: Supplied to you by Hello Pretty. If you're looking to send us something, ask us to send you something, invite us to glitzy parties with champagne, or write nice things about us, please click here for more information. Also, your hair looks great today. 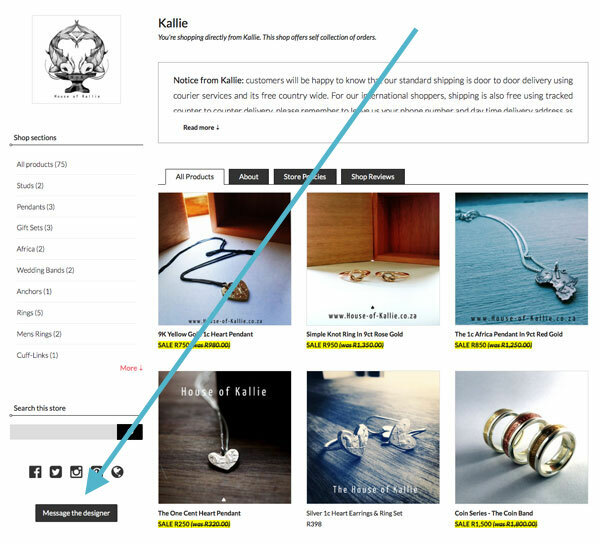 Hello Pretty offers certain options for sponsored content, advertising and promotions. Click here to get the scoop. For queries not answered above, click here for more information.